I received this in the post yesterday from Nicole in Canada it is a Lizzie Kate pattern from this years Just Cross Stitch Halloween issue it is stitched on 32ct mushroom lugana with DMC threads. 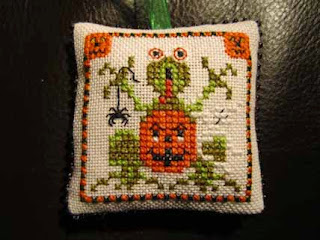 I sent this out to the States but it has not been received yet, it is Fraidy Frog a Just Nan pattern from last years Just Cross Stitch Halloween issue I edged it with beads which you can not really see due to the dark background. Earlier this year I went on a beginners workshop for crochet, I have been able to do the basics which were self taught, but I was having problems defining the end of the row, increasing and decreasing, the workshop covered these things I did it at Baa Ram Ewe in Leeds. 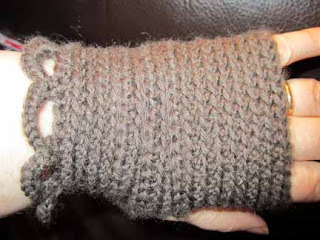 I saw this pattern for these fingerless mitts so I decided to have ago, While visiting the Knitting and Stitching Show in Harrogate I bought a new brand of wool called Drops which is very cheap and it was pure wool costing £2.00 per ball, I managed to get the pair out of 1 ball, the cuff was a lot longer but I only did the first 2 rows as I did not want it long. 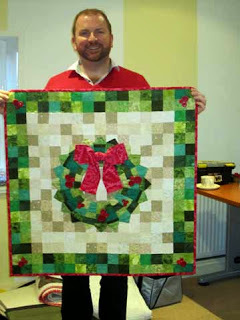 While I was on Holiday I did a Quilting workshop at the Vikingloom in York with Stuart Hillard of Sewing Bee fame, it was a Christmas Wreath wall hanging, I had a great day he was a very patient teacher I have signed up for a Machine quilting course next march with Stuart so that I may finally get some confidence with free motion quilting. 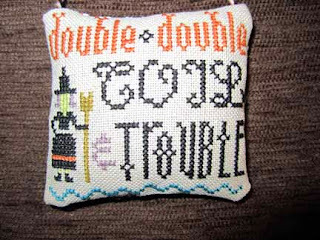 My Mum and I spent 2 days at the Knitting and Stitching show in Harrogate we attended several workshops which we enjoyed, I managed not to spend too much money as I have enough stash to last me a life time, did manage to pick up some Christmas gifts and a Birthday present for myself which is from my Hubby! The Tour De France is visiting Harrogate next year they are asking people to knit tiny jumpers as they are going to make bunting to put up, I have volunteered to make some so I picked up a pattern and they have been sponsored by a wool company so I was even given some wool I have Green,yellow and white all colours of the various stage wins. Nice exchange pieces both sent and received. 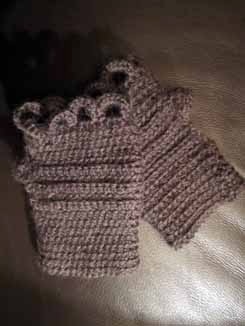 I am new to knit and crochet but find it quite fun. 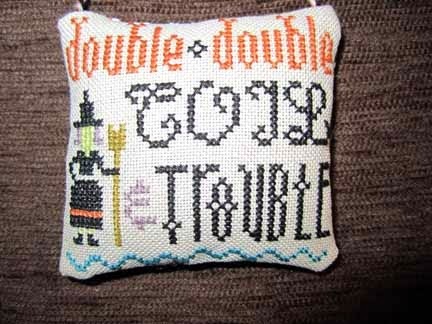 You did such a nice job on your crochet project. Your wreath wallhanging looks great.